AS Chemistry – Investigating redox reactions using copper metal and aqueous silver ions. Year 12 Chemistry – Investigating the effects of sulphur dioxide on the pH of water. Year 9 students visited Bangkok Sculpture Centre on Friday 30th January. They explored the centre’s collection of Thai sculpture ranging from Buddha images dating back 500 years to more contemporary work. The students spent the day collecting visual information by making drawing of sculptures in their sketchbooks and taking photographs in order to help them develop their next class project. Year 8 have been working on a Computing related unit of work for the last 5 weeks. Students have been able to identify the main components in a computer and have learnt to control a Computer through the command line interface. Students have been using Raspberry Pi’s to learn the basics of controlling a Linux operating system as well as learning how to maintain a Windows computer. Kat – Y12 Chemistry Performed an investigation to determine the enthalpy of combustion for different alcohols. 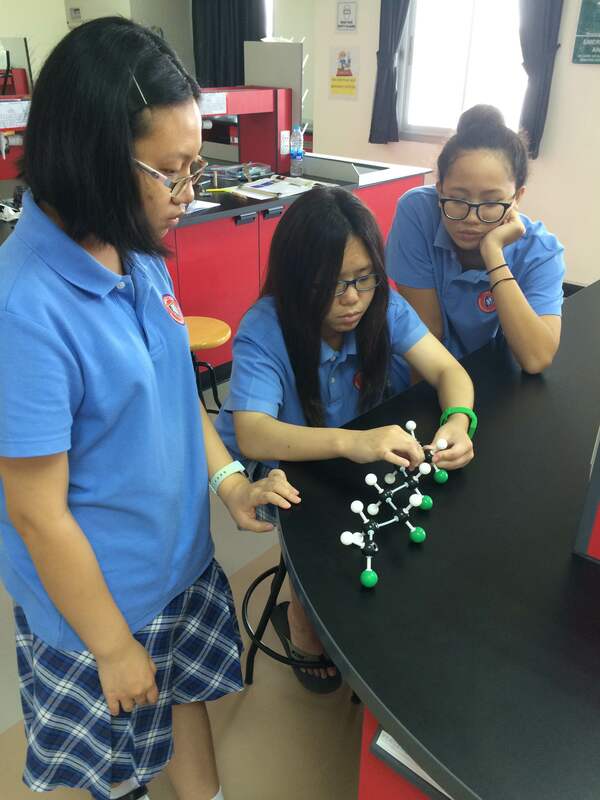 Y10 boys & girls – IGCSE Biology; Investigated the effect of enzymes on rice and how temperature can denature enzymes. Bamboo – Y11 Chemistry; performed experiments on the catalytic cracking of alkanes to produce alkenes. 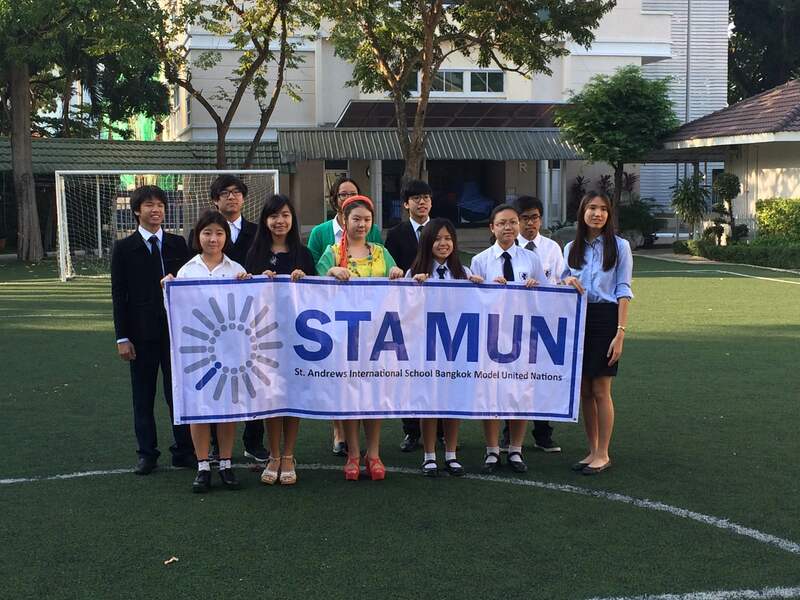 Charter students participated in their first Model United Nations event this weekend at St. Andrews International School. Through collaboration with students from a number of other schools they drafted resolutions on a variety of current global issues.